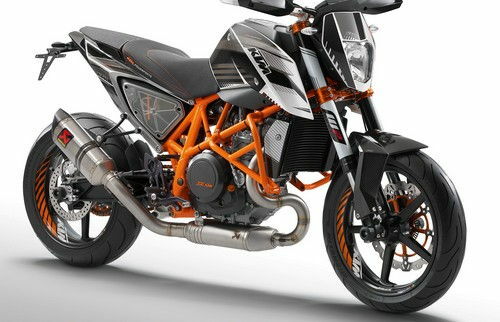 It is expected that the Duke 690 of KTM is soon to be launched around Diwali at a price of around Rs.9.5 lakhs. Recently, the limited edition of the bike was launched based on the motorcycle that KTM run for the European Junior Cup (EJC), a support event for the World Superbike Championship. The original version of this naked bike is also expected to be the same. The 654cc, 4-stroke engine of the bike delivers a peak power of 70bhp and is mated to a 6-speed gearbox. The kerb weight and the fuel tank capacity of Duke 690 are 150kgs and 13.8 litres respectively. The bike will be featuring analog fuel gauge, digital speedometer, WP suspension at the front & rear and will be available in Black and White colours. 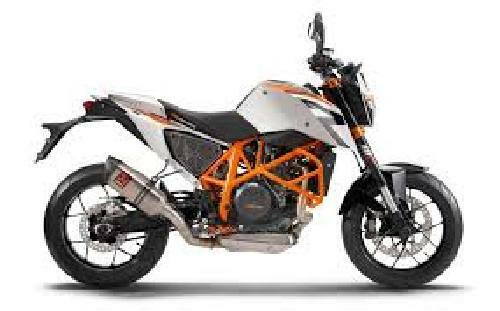 * Prices of KTM Duke 690 indicated here are ex-showroom price not the on road price of Duke 690. 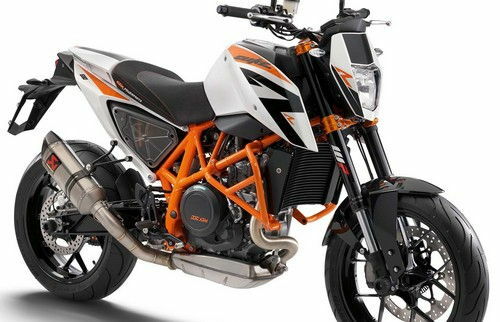 Price list is subject to change and for the latest KTM Duke 690 India prices, submit your details at the booking form available at the top, so that our sales team will get back to you. KTM Duke 690 mileage mentioned here is based on ARAI test drive made under standard test conditions. 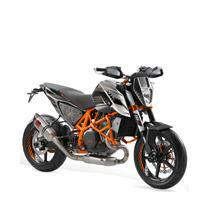 "The prime specs of KTM Duke 690 are listed here. 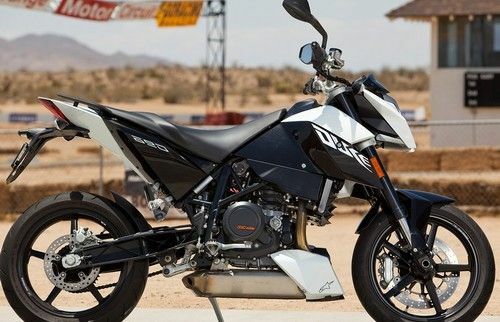 The overall length, width of the bike should give you an idea about its manoeuverability to sneak and run through the traffic jams.Engine specs of Duke 690 are also listed here. With the power (in bhp) and torque (Nm) figures the most important ratios - power to weight ratio of Duke 690 and torque to weight ratio. The displacement (in cc) is the measure of cubic capacity of the engine. The performance figure of the bike zero to sixty and zero to 100 in seconds will give you the sense of the power the bike possess and its on road performance. The lesser the time taken by the bike to reach 60kmph or 100kmph the faster it is over it competitors "